When the folks at Eurostar begin to unwrap the gifts they received for their train’s 20th birthday this Nov. 14, the biggest package will contain the new e320 train that promises to revolutionize the still revolutionary practice of riding from Paris to London by rail. They’re unveiling that gift at London’s St. Pancras station today. In 1994, Eurostar was established as a partnership between three railway companies: SNCF, SNCB and LCR (London and Continental Railways). On Sept. 1, Eurostar became a single, unified corporate entity owned by three shareholders: SNCF, SNCB and LCR. Twenty years after its launch, the Eurostar dominates market share against the airlines for London/Paris traffic and the new train should only accelerate that trend. The e320 train (see video below) will enter commercial service with ten e320 trains at the end of 2015 and now Eurostar has decided to order a further seven more e320s. With the original order of e320s now in the final stage of completion, this increases the number of new trains to 17 in total. The e320 trains will entirely broaden Eurostar’s horizons because they are ‘inter-operable’ with the ability to operate across diverse European signaling systems, opening up the potential for a whole range of new direct services between the UK and European city center destinations. Beyond its core routes connecting London to Paris, Brussels and Lille, Eurostar also connects to the French Alps, Swiss Alps and Geneva. In May begins a new year-round direct service to Provence, stopping at Lyon, Avignon and Marseille, followed at the end of 2016 by the launch of a direct route to Amsterdam with stops in Antwerp, Rotterdam and Schiphol along the way. It’s an improvement that may help Eurostar compete against the possibility of a second rail company using the Chunnel. Plans to put another rail line in the Chunnel. The Channel Tunnel issued a 'Certificate B' operating license to Deutsche Bahn (DB), the German rail line. DB has for year’s coveted the notion of high-speed service between Amsterdam, Frankfurt, Köln and London. The e320s can carry 900 passengers, percent. Furthermore the train can reach speeds of 200 mph. The look will beautiful as well with external livery and interiors designed by Pininfarina, an Italian design house, known for car designs. 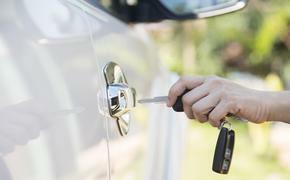 Energy efficiency and enhanced passenger experience are the goals. The Eurostar fleet will feature free Wi-Fi throughout and a broader range of information and entertainment options including live news feeds and weather reports as well as a collection of destination guides. The e320s will also feature more space per seat with each seat equipped with power points and a USB socket as well as a newly designed bar buffet, ergonomically designed reclining seats and increased luggage areas. To mark its two decades of service, over the next two weeks, Eurostar will be staging celebratory activities on-board its trains and in its stations. This includes surprise golden tickets, giveaways and special events for customers as well as a dedicated birthday promotion running between Nov. 13 and 24 offering return trips in Standard for £59/€69 and in Standard Premier for £149/€179 - for travel between Jan 5 and Feb. 12. 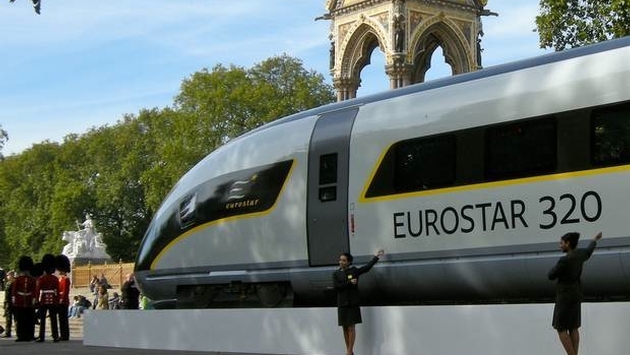 Last year, Eurostar more than doubled its profits, earning £52 million. Currently, the British government is hoping to sell its 40 percent share of the train, as part of its economic austerity plan.